St Mary the Virgin, Peldon sees a welcome 4th return of Quire-Octavia and Quire-Towering Angels on 9th November. These two lively groups from Quire (The Colchester World Music Community Choir), will present a programme of love songs, drinking songs,humorous songs and seasonal songs and, along the way, help raising funds for the education of a student in Uganda who is sponsored by St Mary’s PCC. Starting at 7:30pm, tickets on the door: £10 (con. £8) incl. refreshments or phone Bill Tamblyn on 735 770 for reservations. Profits to the Tuan Trust a registered charity. Quire (with Octavia) CD SHout! – hear extracts on www.quire.org. 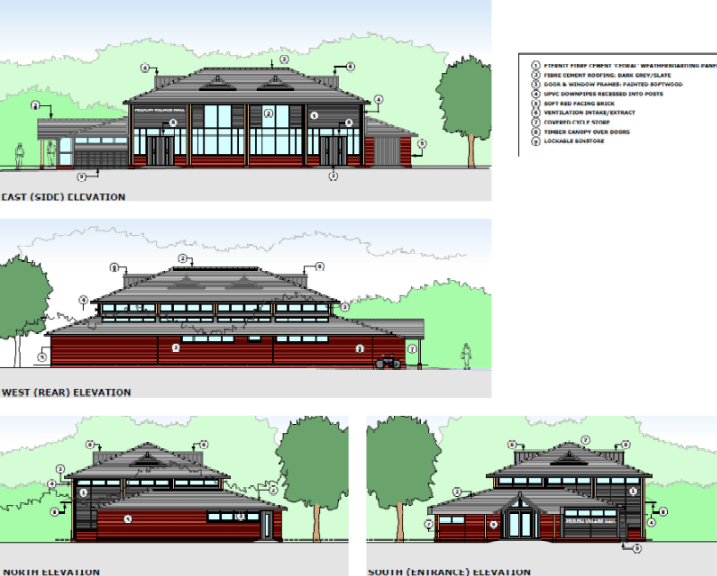 The Peldon Village Hall Management Committee were pleased to announce that plans for a new village hall for Peldon took a big step forward in December when they were awarded a grant of £100,000 from the Abberton Reservoir Community Fund towards the project. Following the granting of planning permission in August, this is a significant contribution towards the estimated £600,000 needing to be raised. As a condition of the grant, the new building will have a lobby area that is open throughout the day, even if the hall is not in use. This area will include toilet facilities, an information area about the reservoir and a vending machine for the convenience of visitors who may wish to park in the hall’s car park before setting off to walk round the easterly side of the enlarged reservoir, once pathways have been created. Together with the £30,000 already awarded from Essex County Council’s Community Initiatives Fund and £20,000 accumulated from fundraising events in recent years, the committee are now about a quarter of the way towards their target. Three further grant applications have been lodged and more will follow, including a major one to the Big Lottery, about which more will be said in coming months. 30th June –Soul Concert with the Crissy Lee Band and Grand Auction. Venue – Brickhouse Barn, Lower Road, Peldon. Further details to be announced. 16th September – Sponsored Walk – details of route, and how to take part and get sponsorship forms to be announced later in the year. 10th November – Quiz Night in the Village Hall. To find out more about these, of how to help PVH in general, contact Bob Holmes on 01206 735510. The Peldon Village Hall Management Committee have recently been awarded a further £15,000 of grant funding towards the new Village Hall project. To find out more about the hall, the renewal project and to see the designs of the proposed new building (thumbnails on right) check out their webpage on this site. Also remember to keep your eyes open for fund-raising events listed on our home page event calendar. Peldon Village Hall Management Committee are organising a sponsored walk to raise funds for the new village hall. The walk will be round Mersea Island and take place on Sunday 25th July 2010. The distance is approximately 14 miles. We intend to start at 9am from the footpath near to the Strood. There will be several scheduled stops to take on refreshment and supplies. So far four members of the Committee have taken up the challenge and we would be happy to welcome as many people as possible to participate. Please call Keith Banks on 735004 for more details and sponsorship forms. If you can’t manage the walk, you are welcome to to sponsor one of the committee. If you can’t manage the entire 14 miles, join us for part of the walk, even if its just between The Coast and The Victory!! Dogs also welcome. It’s a great opportunity to get some exercise, enjoy our beautiful countryside, to chat with friends and neighbours and raise some money for a good cause.